Best Tuner for 2015 6.7 Powerstroke Reviews: Top-5 in April 2019! Tuners for 2015 6.7 Powerstroke – Guide For Truck Owners! Tuners will tweak your engine’s performance to optimize fuel per mile ratios by using specifically canned or Dyno tunes. These will ultimately deliver an improvement of anywhere between 1-2MPG, which over hundreds or thousands of miles accounts for a lot of saved money. A good tuner that comes with preset tunes, will provide your engine with overall better performance, as well as give you a more intuitive converter lock-up strategy with increased line pressure that makes for better clutch holding capacity, quicker shifting, longer trans life and also lowers the overall temperatures, for power you get increased torque and better kick down response. You might have heard of this, and for the Ford 6.7L trucks SOTF is actually a very popular and sought after features What SOTF does is it allows you to match powertrain output to truck usage. For towing heavy loads, this is a must, since you can assure a non-compromised power curve when pushing uphill, this will maintain temperatures and torque loads to transmission. You should not tamper with emission equipment performance, it is both illegal in many states and will take away a lot of the warranty work requirements. Essentially, there is a lot of misconception about factory emission equipment, and most of it is bull, so just ignore the idiots that cancel out DPF, DEF, EGR and don’t be fooled into deleting them. Voiding your warranty by using a tuner is an issue that is usually handled by the dealership or insurance company policy you have. Consider this, check it out first, if your warranty is still valid, don’t void it recklessly, check first. Now let’s take a look at the 5 best tuners for 2015 6.7 Powerstroke engines. 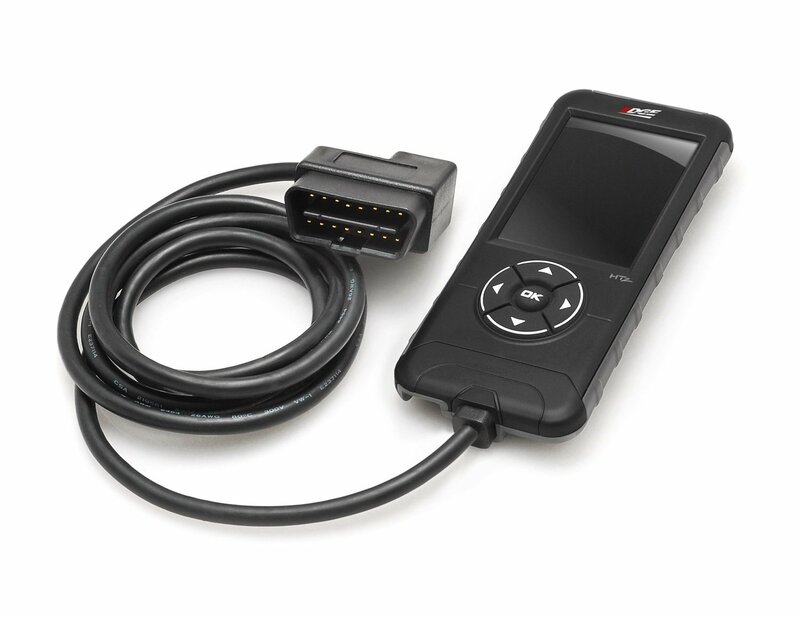 Evolution CTS2 model 85400 is designed specifically for 6.7L Powerstroke applications and is a classic plug and play ODBII programmer. Edge is one of the market’s leaders for tuners, and this one is no exception to the rule of perfection that Edge provides. 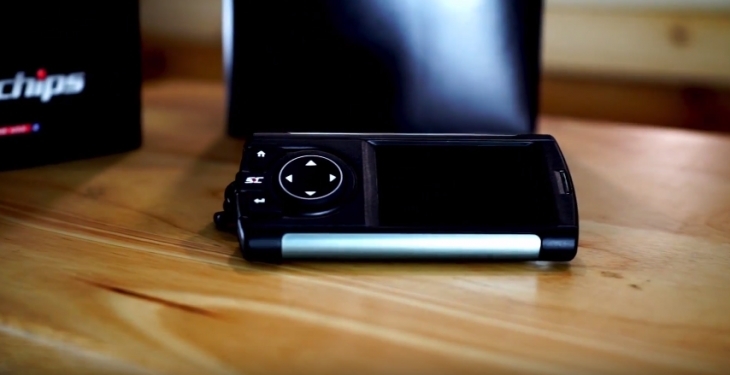 This model comes with preset tunes as well as allowing you to play with specific tunes. It reads and clears all DTC’s and is compatible with the Expandable Accessory System (EAS). You get in-cab monitoring with a vivid color screen and displays true speed to monitor performance. The screen comes with an auto dim feature, and you get performance tests as well as video capable logging. The device connects to the internet for updates. This is one of the most comprehensive programmers on the market and is a professional model for the professional truck driver and mechanic. 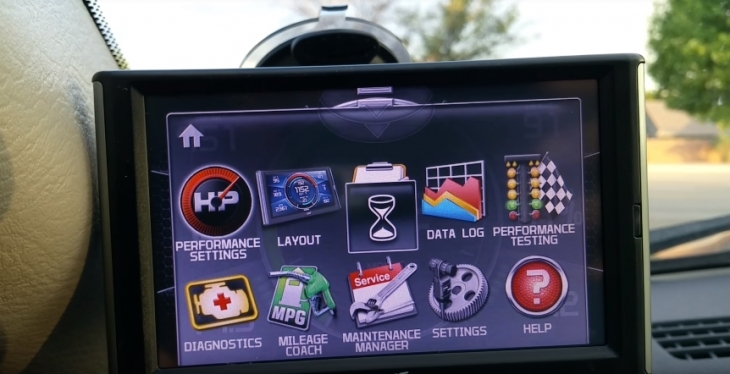 Dashpaq is Superchips’ performance tuner and monitor model for 6.7L Powerstroke (and more). This model comes with a lot of great preset tunes for all 2016 and newer models. You get an EAS system that lets you add more sensor inputs, so you can view data as and when it appears on the screen. What you get with this model is a great in-cab style Color Screen with customizable backgrounds and an auto-dim function. The device both records and alerts and provides performance testing. 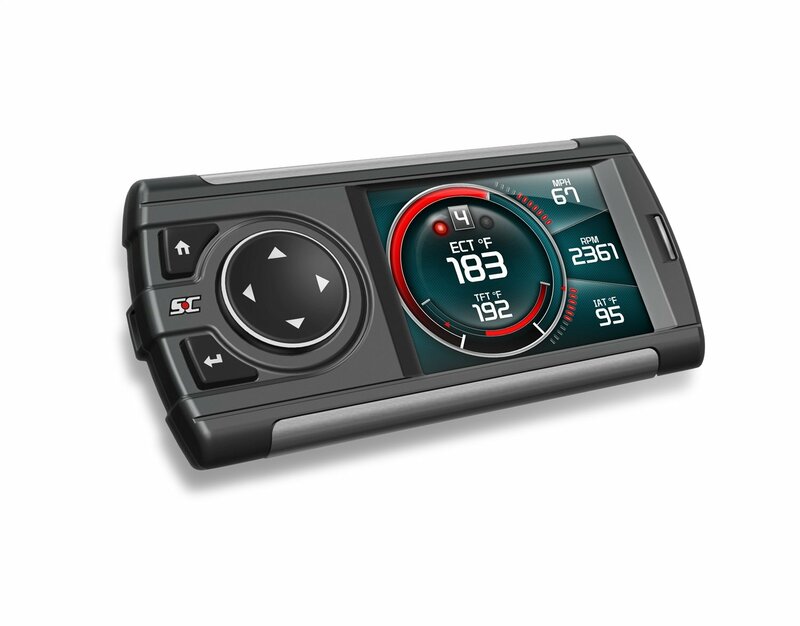 Superchips is another leader in the field, and as such, delivers a customizable performance tuner that not only sits well in the cab, and on your dash, but lets you customize its screen for your specific eye readability. 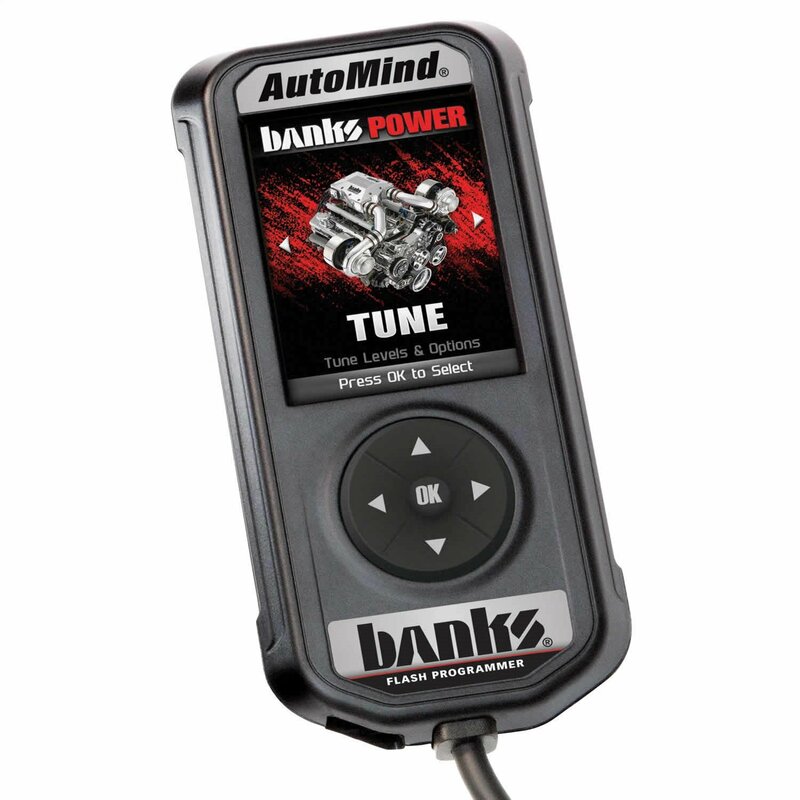 The Banks AutoMind 2 Programmer is a Hand-Held tuner for Ford applications, including the 6.7 Powerstroke. 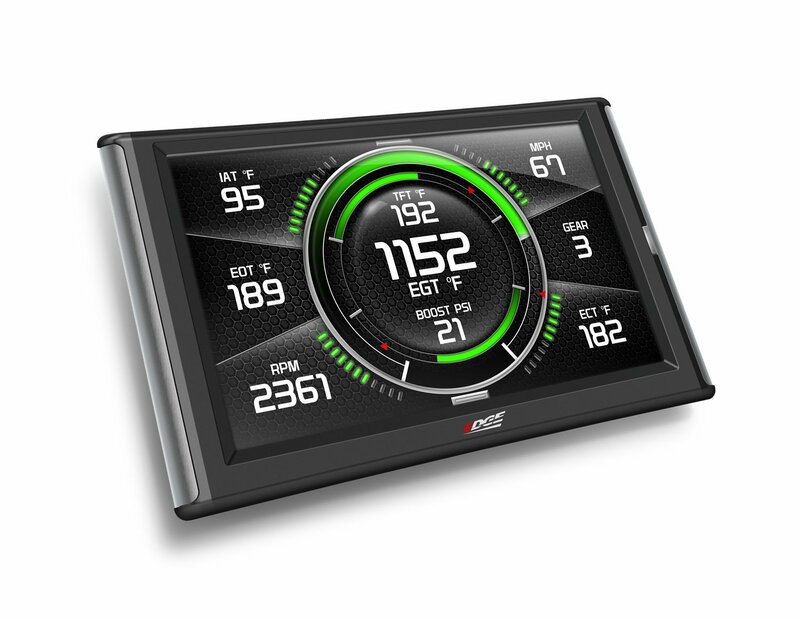 With its Full-color 2.8” screen, the Banks AutoMind 2 displays critical engine functions through its new and improved GUI. This is a Power, Fuel Economy and Performance model that delivers power on demand by removing the factory’s power delay. The AutoMind 2 is updatable via the Internet and provides you with a versatile all-in-one scanning and programming interface. 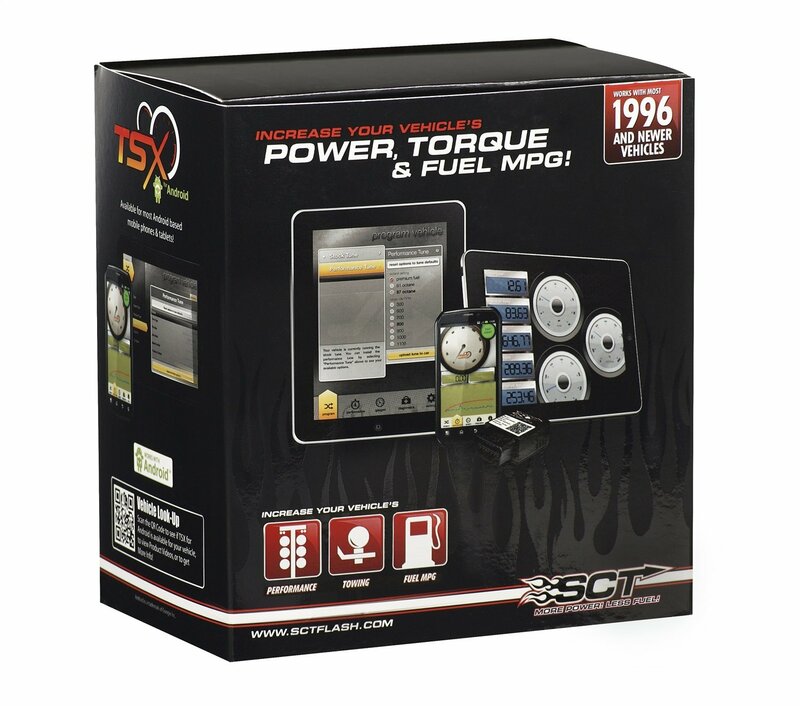 You get to monitor performance and fuel economy as well as read and clear all DTC’s. The AutoMind 2 is a nice versatile model that sits well in your hand and lets you implement canned tunes for improved performance. It looks and feels neat in the hand too. 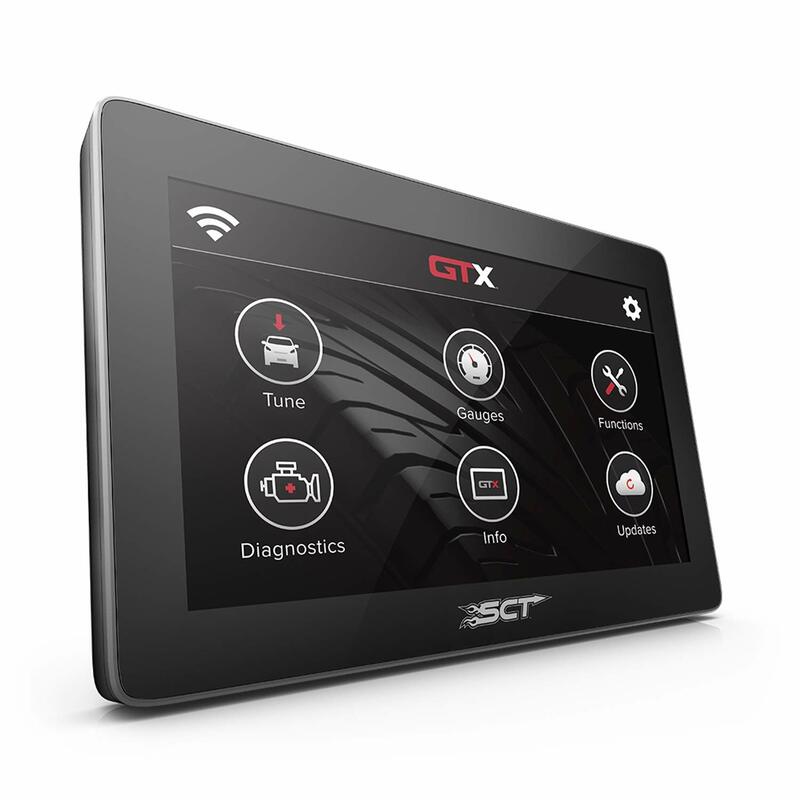 The SCT Performance – 40460S – GTX Performance Tuner and Monitor does not require a computer. Even newbie can use this tuner. It has a lot of different powerful features. One of it’s greatest upsides is the loading speed – 40460S starts less than 10 seconds and has a convenient interface. A 5-inch sensitive display covered with a capacitive glass is able to show all the necessary info. I have got to be blunt with you here, at the price its offered, this is one tuner that is hard to beat, and the display is just magic. 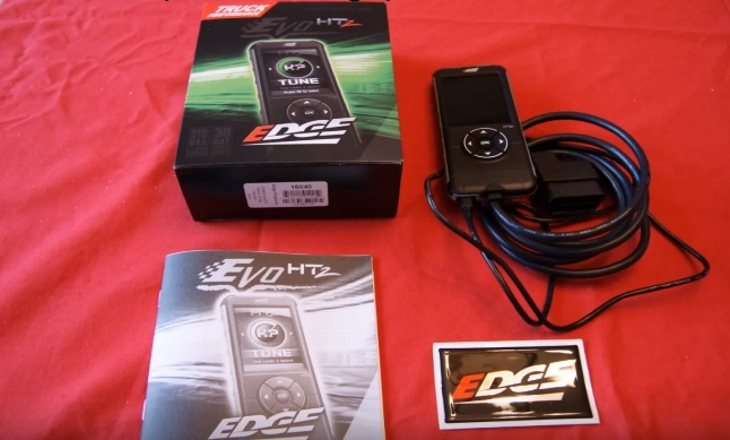 The Edge EvoHT is a hand-held performance tuner for fast and accurate canned tune application. You also get many more performance tunes, and obviously, you will get a full range of specs to adjust. A classic model with a standard price, and is a non-nonsense canned tuner for immediate performance upgrading. The Ford 6.7 Powerstroke engine was created in 2008, with the code name Scorpion, this exceptional engine changed the way to next-generation powerful diesel engines, and it took a year of intense planning, design, and testing to come up with this new engine for their F-series of trucks. In 2010, The first 6.7L Powerstroke engines came with 390 horsepower, and this was increased to 400. In 2015, the upgraded model was given 440 horsepower and provided 860 lb-ft of at 1600 RPM. This 2015 model comes with 3.9” bore cylinders and a 4.25” stroke, and as the name suggests, the engine’s volume is 6.7L, which is 409 cubic inches. The 6.7L Powerstroke engine block is now made out of compacted graphite iron (CGI). CGI is a more popular material due to its increased strength and lighter weight when compared to the traditional cast iron blocks. CGI was initially used for brake discs on high-speed trains. To reduce weight and increase thermal transfer performance, the head is made of an aluminum alloy, and this comes with 2 intake and 2 exhaust overhead valves (OHV) per cylinder valvetrain. The camshaft is located in the block and uses the traditional pushrod strategy. The decision to move the turbocharger into the engine valley, as well as change the block to CGI material was at first met with skepticism. However, these two changes, together with the new fuel injection system, revolutionized the diesel stereotype from a boorish dirty image into a competitive hi-tech market. Now that we have an advanced composite diesel engine, and yes you can use the word composite for anything that is made out of more than one material., makes it sounds so much more sophisticated than it really is. Let’s take a look at how we can improve its performance, which is what every truck driver want to do, even if they don’t admit it. Before you consider upgrading your engine with aftermarket parts, take note that a tuner will improve performance that might meet your requirements, and save you on aftermarket upgrades. On the other hand, you might want a complete upgrade with aftermarket and tuning. This will turn any 6.7L Powerstroke beast into a rampaging Hulk. Camshafts, Cold air intakes, Cylinder heads, Fuel injectors, Full exhaust systems and headers, Intake manifolds, Nitrous systems, Rear gear changes, Superchargers/Turbochargers, and Throttle bodies. This is the performance list, there are other options to add such as automating windows, locks, alarms, etc., but that is for comfort, not performance. Take heed that tuning your Powerstroke will void its warranty, and understand this, Ford has proprietary software that will know when you tuned, and how many times you tuned and restored. Canned: A generic preset tune that comes with the device. Custom: A specially written tune, either prepared by a company or made by a professional. Dyno: A shop prepared tune, where the tuner dials it in in real time. Please be aware that you must never buy a tune from an unknown source, and never tune by yourself. Custom tuning is for professionals that understand the nature of the entire operation; one change can destroy your performance, let alone an entire range of changes. There are two variants for programming; one is the use of chips, which come with preset tunes that you can employ at the flick of a switch. These are closed circuits, which means you cannot make custom adjustments. The second variant is Tuners, which come with open circuits that allow you to make custom changes to specific options. Now that you have the basics on tuners, how will they affect your 6.7L Powerstroke? Mileage relates to how efficient you burn duel, and in this case, we have a few issues to contend with, these include, such factors as driver habits, average road speed, idle time, ambient temperature, braking and more. Consider that a single wheel truck provides 16-18 MPG on stock tires when managed by an aggregated driver with an aggregated load. Diesel Tuners for 6.6 Duramax – Buyer’s Guide! Ford Mustang Tuners – Guide For Owners Of Different Generations! Performance chips for Chevy Silverado – Buyer’s Guide! How To Pick A Good LS1 Intake Manifold? LS3 intake manifolds – Buyer’s Guide! Carburetors for Ford 460 – Here’s a Guide For You! Carburetors for 351 Windsor – Buyer’s Guide! Shocks for Dodge Ram 1500 2WD – Buyer’s Guide! 408 Stroker – A little FAQ about this engine! How to Bypass the DPF Filter on a Cummins? MechanicFAQ.com is a participant in the Amazon Services LLC Associates Program, an affiliate advertising program designed to provide a means for website owners to earn advertising fees by advertising and linking to amazon(.com, .co.uk, .ca etc) and any other website that may be affiliated with Amazon Service LLC Associates Program. Amazon and the Amazon logo are trademarks of Amazon.com, Inc. or its affiliates.